As oft happens, the sermon or sermon series I find myself preaching seems to embody with such relevance what’s happening in the world around us. For example, as we have journeyed through the life of the early church in the book of Acts, I have looked upon the amazing life of a church leader of Damascus named Ananias: a lesser known Christian of the first century church, perhaps, but a hero of faith and courage (in my book, at least). Ananias was willing to stand and obey the voice of God in the face of fear and potential danger. Like Ananias, we are navigating through rough waters as a culture and in many ways are woefully unprepared. We have much information (cf. Ananias’s revelation) and such amazing technology at our fingertips that our forefathers could not have dreamed of. Yet we are lacking something far more important: character. Do we have the courage to lay it all on the line? Do we have the courage to speak up for the biblical model of natural marriage when we know that we’ll be called bigots, homophobes and maybe worse? Do we have the courage to say aloud that abortion is the taking of innocent life when we risk being called antiquated in our views? 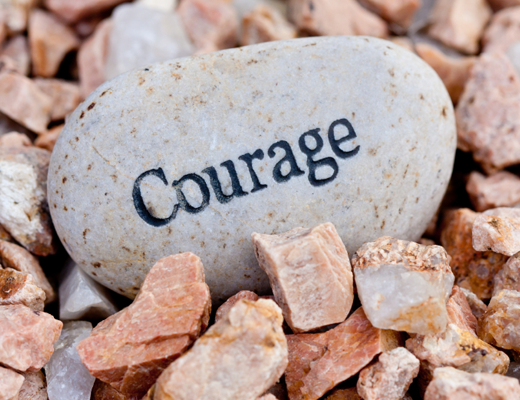 It takes courage to take a stand and risk unpopularity and ridicule. But remember this: if we lose our religious freedoms to stand for and teach a biblical worldview, then we will lose all other freedoms as well. If the church will do its job then the nation will reflect the biblical values on which it was built. I believe there was a moment in the conversation that Ananias knew for sure: the Lord has me covered here. Of all the things for God to ask of me, to minister to Saul of Tarsus! Yet if God calls I will answer knowing I can stand. Courage and strength is in the Lord!